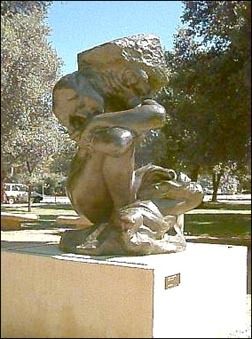 at the Stanford Rodin Sculpture Garden. as if a cat is prowling nearby. straight as a giant pine needle. like mini-incense sticks in sand. as if you had just come in from the rain. cover from the torrential storm? in the lap of the Great Mother? he sings a song for you so you'll run again.